I can't believe it's less than a month to Christmas. Where has the time gone? I know it's going to be another year where I say I'll do my shopping early and have time to choose appropriate gifts that will be highly appreciated. In reality, I will most probably end up running around on Christmas Eve like a headless chicken, buying that tie for someone who doesn't wear ties, or resorting to that last crumpled box of smellies that's on mega sale. Does this resonate with anyone? Please? A big part of being a crafter during this time of year is making your own ornaments, cards and home decorations. The HKMC team decided to do a different project each, which will be taught during the whole of December. 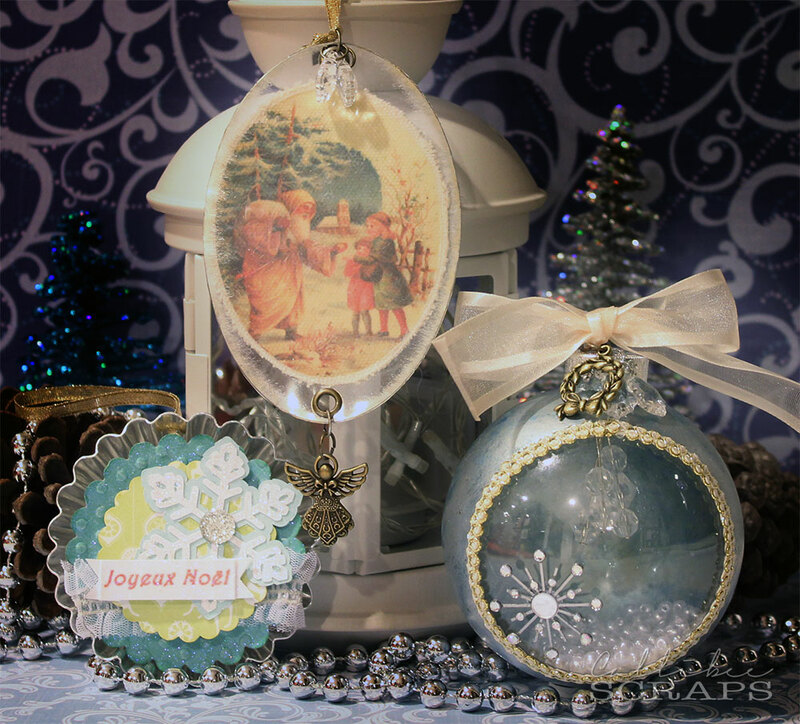 I wanted to do ornaments, so I planned out three which could be completed during the two and a half hour class. 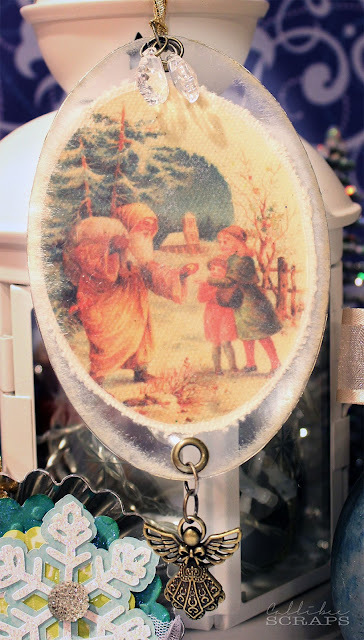 There are a huge array of ornaments you can purchase in the shops now but it's part of the charm to make your own which you can keep for your tree for years to come. I gave each one a different feel; modern, traditional and vintage, with different techniques, which can be made quickly enough that you could do several at a time if you wanted to. Pretty handmade ornaments to treasure for years to come. The Modern. Using something unexpected: a tart tin. The Traditional. 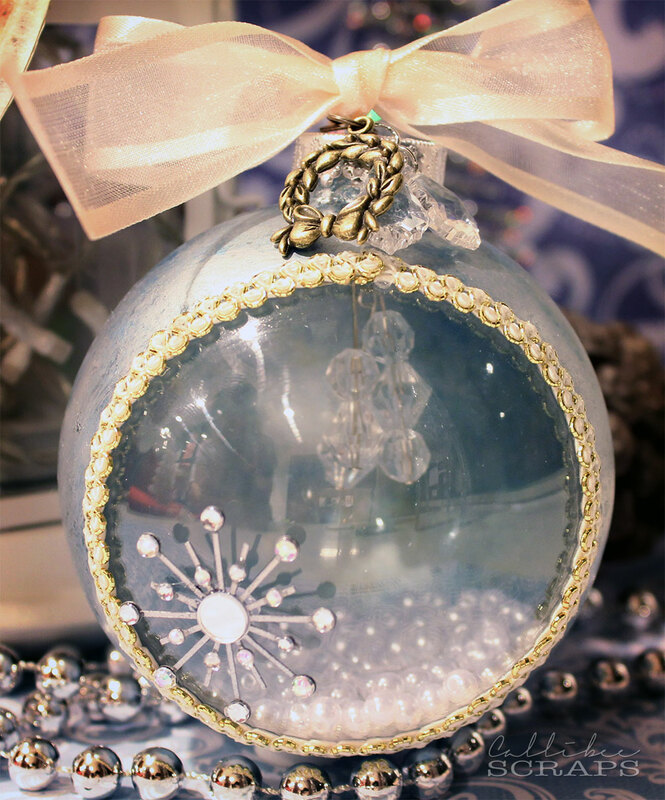 Classic round glass ball. The Vintage. Vintage style cut outs on canvas. I will be holding two classes on Thursday, 13th December. There will be a morning class at my place in Discovery Bay, from 10:00am to 12:30pm. The second session will be at the HKMC shop in Sheung Wan from 7:30pm to 10:00pm. We'll have an email notice out soon on all the December classes, which will include tags, my ornaments, a cute Christmas house and a mixed media Christmas canvas. 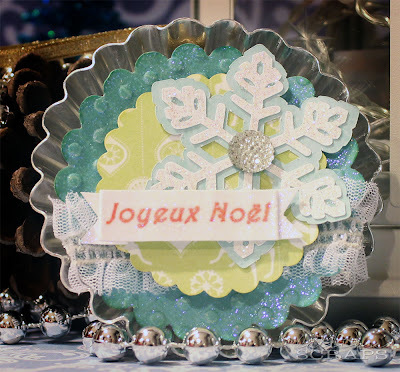 I hope you'll be able to join us in our crafty countdown to Christmas day. All classes can be booked through info@hkmemorychestonline.com or contact Erika on 2559 0175. Oh, and my eClips eCal class was postponed to 17th December evening, so if you have an eClips machine and want to learn how to design and cut your own images, sign up with Erika. You'll be taking home a tag made from your designs.